As the economy of the United States continues to rebound and grow stronger, so will the need for diesel-powered vehicles to help power that growth and recovery. Since diesel-powered engines are more durable and long-lasting than their gasoline-powered counterparts, more companies are utilizing these vehicles to ship their goods around the country. As additional diesel-powered vehicles are added to fleets around North Dakota every day, the need for diesel mechanics grows even greater. A wide range of employment opportunities at North Dakota companies are available to those who have earned their certification or degree in this industry. As with most degree programs, there are a variety of prerequisites that one must meet before being allowed to enroll at a community college or institute in North Dakota. The most common prerequisite among these colleges and institutes is that future students must have their high school diploma or GED before enrolling. Some stringent colleges demand even more of potential students, requiring students to have completed at least two years of high school math, four years of high school English, and two years of high school science. With recent technological advancements, companies around North Dakota are beginning to require that candidates for open positions have earned either their certification or a degree in diesel technology. While some employers are taking a proactive role and offering to sponsor certification courses for new employees, most companies will give preference to candidates who have either their associate or bachelor’s degree in diesel technology. Diesel mechanics can become certified through community colleges and vocational schools in North Dakota, making sure that the program they are interested in is properly accredited. For those looking to get a degree in diesel technology as quickly as possible, the Associate of Science in Diesel Technology is a two-year program that helps students enter the workforce as soon as possible. For the more studious types, the Bachelor of Science in Diesel Technology will take a minimum of four full-time years to complete. Before enrolling, it is crucial that students take the time to verify that their college of choice is properly accredited. The most prestigious accreditation for schools with diesel technology programs is that of the National Automotive Technicians Education Foundation (NATEF), which is also highly acclaimed by companies looking to hire diesel mechanics. Associate’s degree programs are designed to immerse the student into the world of diesel technology through hands-on experience. This program primarily focuses on developing the ability of the students to diagnose and repair mechanical problems in diesel engines. For students looking to take their career prospects to a whole new level, a bachelor’s degree in diesel technology will open up doors to management positions in companies throughout North Dakota. Bachelor’s degree programs are designed to teach students the fundamentals of diesel diagnosis strategies and repair techniques. This program also contains more classroom time than the associate’s degree program does. Currently, the state of North Dakota does not require any specific certification to work as a diesel mechanic legally. 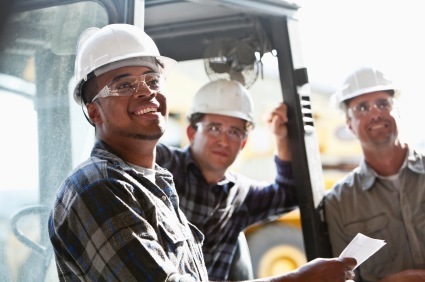 Most companies who wish to hire diesel mechanics are looking for potential candidates to have at least their certification in diesel technology, showing the diesel mechanics have been properly trained for the work they will be expected to do. For diesel mechanics looking to prove their dedication to the field of diesel technology, the specialized certification exam offered through the National Institute for Automotive Service Excellence (ASE) certifies the mechanics’ capability in repairing and maintaining electrical systems, brakes, and steering systems. While some companies will waive the education requirements for those who have several years of experience, most companies in North Dakota reserve the higher paid positions for diesel mechanics who have earned their certification or degree in diesel technology. According to the Bureau of Labor Statistics (BLS), the average salary among the 1,890 diesel mechanics currently employed in North Dakota is $43,900 annually. The growth of this industry is promising, with the growth rate expected to top 15 percent between 2010 and 2020, meaning the addition of 35,200 more jobs across the United States for today’s diesel technology students. General Freight Trucking: As freight companies grow and expand their workforce to keep up with supply demand, the number of diesel mechanics that these companies need also increases dramatically. Opportunities for specialization is available with large freight companies. Urban Transit Systems: More Americans are becoming environmentally conscious and realizing the benefits of public transportation in large cities. The diesel-powered vehicles used by these municipalities will need a growing number of diesel mechanics to repair and service their fleets. Oil Companies:The majority of vehicles and equipment used to extract and transport oil have diesel engines. As oil companies begin allocating more resources to the oil fields of North Dakota, additional diesel mechanics will be needed to ensure proper running of their equipment. As the local economy of North Dakota continues to boom due to the new “black gold” rush, the need for new certified diesel mechanics grows exponentially. For those looking to take advantage of this extreme growth and enter the diesel mechanic field, a certificate or degree in diesel technology will open multiple doors to exciting and well-paid positions all across North Dakota.